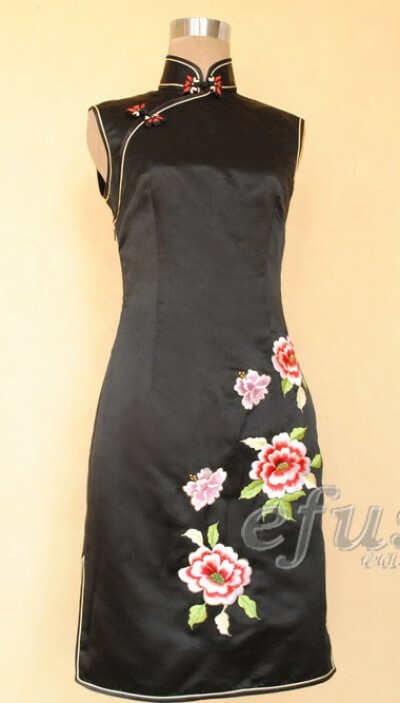 Black silk brocade with embroidery Chinese cheongsam dress. Mandarin collar, sleeveless. Black with yelleow trimming. Floral buttons. Knee length, double slits. With peony embroidery. Elegant Qipao. Fine quality Chinese clothes.